New Snare Drum Samples from Drum Werks, USA! We know we have taken some time in getting up new drum samples, but look for a number of new, freshly-recorded samples during the month of February. 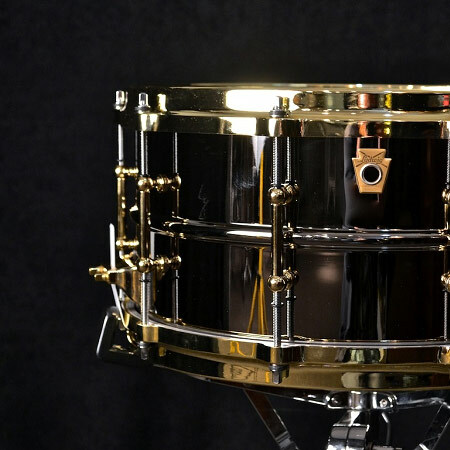 And, to kick it off, we put up a highly-requested drum – the venerable Ludwig Black Beauty snare! This tasty all-time classic snare will work perfectly in a wide range of musical applications, including rock, alt rock, and acoustic rock. The Ludwig Black Beauty comes as it should: clean, dry, and pure – allowing for complete control over processing. Use it “as is” or adjust to taste. It really is a sweet sounding set of snare samples – just under 50 MB of sonic goodness! The Pearl Dennis Chambers 14″ Maple Signature Edition snare drum is a beauty – one of the best maple snares you will find. A great drum for pop, rock, and funk tunes. Maple drums are known for their warmth and projection and this drum has it all. And, despite the warmth of maple, It has plenty of attack. The thick woody character of this drum will be a solid backbeat without getting in the way. A versatile Yamaha 14″ Steel Snare is an incredibly versatile recording snare. A great drum for pop, rock, and funk tunes. Bright, full tone with a frequency range from mid to high. It has plenty of attack and some nice open ring to it (typical of metal snare drums). Add compression and this snare will pop through any mix. Check back often as many new drum samples and cymbal samples are getting final checks before hitting the Drum Werks site this month.